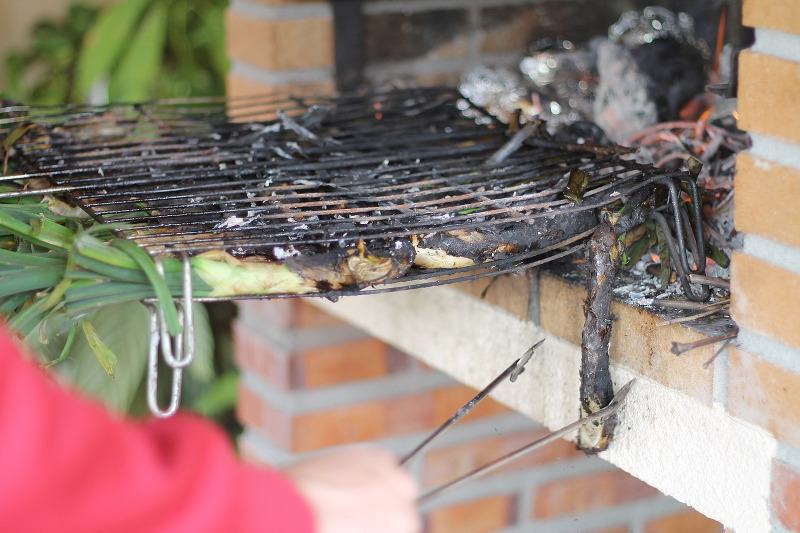 Calçots (White Lisbon scallions) can be toxic — even lethal — for many domestic animals, including dogs and cats. They are no different from the rest of onions, garlics and other representatives of the allium family that we eat often. This kind of produce can cause intoxication in any of their forms: raw, dehydrated, or cooked. This is due to a component called thiosulfate, which oxidizes red globules, so they rupture. Consequently, internal tissues stop receiving enough oxygen. This condition is known as hemolytic anemia, and may have severe hematological and clinical effects. Dogs and cats are highly susceptible to poisoning with calçots because scallions can do damage from very low doses (5 gm / kg in cats, and 15-30 gm / kg in dogs). How to Know if My Pet Is Poisoned From Calçots? What to Do if I Think My Pet Has Eaten Onions or Scallions? If you suspect a poisoning from either calçots or any other kind of onions, take your pet to the veterinarian right away. Vomiting and diarrhea can be immediate, but the rest of symptoms appear, usually, one to four days after the ingestion. For that reason, it is crucial to treat the intoxication from an early stage. Unless caught in time, it could be lethal. Red globules are damaged faster than the animal can replace them. What Treatment Will My Pet Receive in Case of Onion Poisoning? Since a small amount of raw calçots or onions can be poisonous, it might be useful to induce vomit within the first hour after ingestion, even if there are no symptoms. Mild poisonings usually subside spontaneously, or with C and E vitamin supplements. In more serious cases treatment consists of oxygen therapy, fluid therapy, and occasionally blood transfusions. Hearing about poisonous products for our pets is not uncommon, and this is in fact one of the most usual causes of emergency visits to the veterinarian. Among pet owners, the best known toxicants are chocolate, pesticides, and rat poison, but we need to bear in mind that our pets live in environments where they can be in contact with toxicants unknown to us. Domestic plants cause a 5-10 % of toxicological consultations to veterinarians. 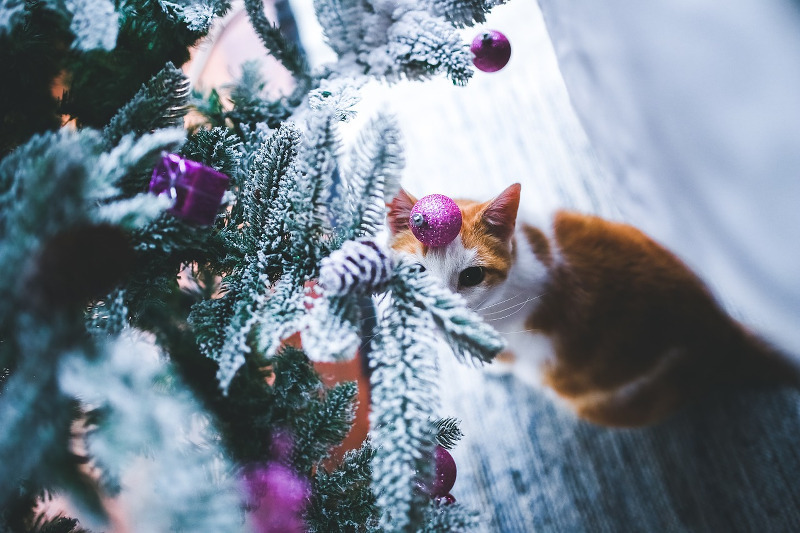 In this post we want to introduce a poisonous plant for pets that many of us use at home as a Christmas decoration: poinsettias. The scientific name of poinsettias is Euphorbia pulcherrima, and it is a perennial shrub that comes in several colors — most commonly red. The red part of the plant is made of bracts, a special kind of leave that protects the flowers and attracts pollinating insects. The toxicity of poinsettias is due to the irritating milky liquid that circulates along the stems and membranes, and might appear if the animal eats part of the plant, or if it touches the skin or the eyes. Poisonings by this plant are usually mild, but still we should be aware of it. It is preferable not to have poinsettias within reach of our pets, especially the young ones. 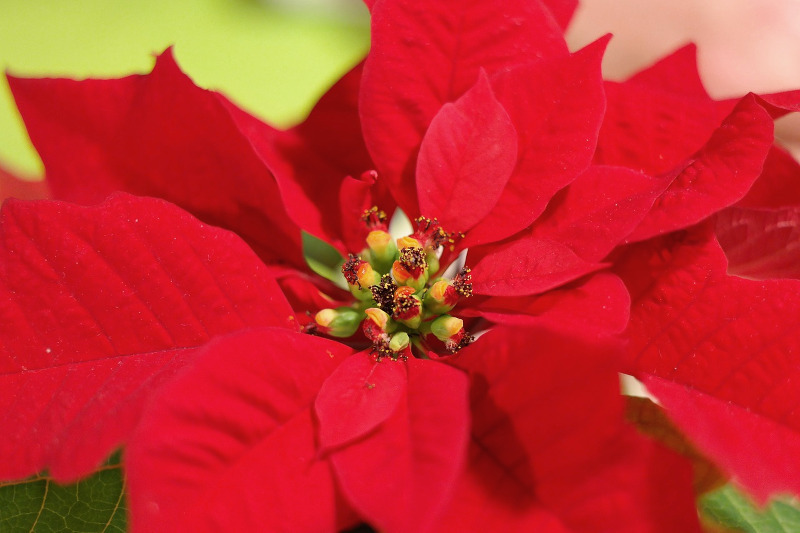 If you suspect a poinsettia poisoning, contact immediately with a veterinarian: with a proper and early treatment, pets have a good recovery without complications. We need to be specially careful with young animals. If they ate a large quantity of the plant the poisoning could be serious, affecting the nervous system, and causing tremblings, ravings, and even coma. The best way to prevent poisonings is knowing which reagents are most dangerous for our four-legged friends and, in doubt, not to hesitate to ask us if you have any more questions!